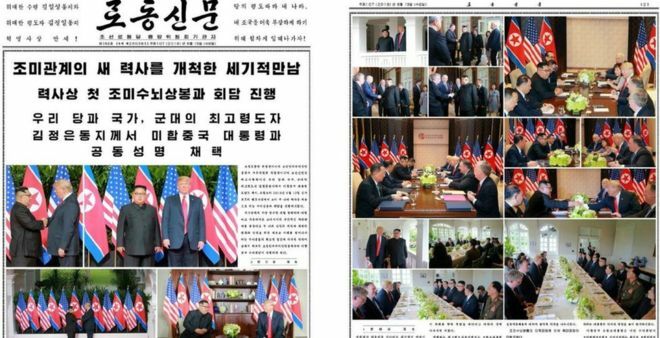 North Korea has celebrated the Trump-Kim summit as a great win for the country, with state media reporting that the US intends to lift sanctions. President Donald Trump said afterwards that sanctions would remain in place for now, but would be lifted once "nukes are no longer a factor". He also announced an unexpected end to US-South Korea military drills. 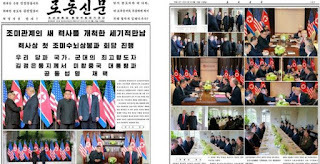 The move - long demanded by Pyongyang - has been seen as a major concession to North Korea and appeared to take US allies in the region by surprise. The Pentagon has since sought to reassure its allies of its "ironclad" security commitments.